On this last Holy Week reflection we explore the third liturgy of the Easter Triduum; the Easter Vigil. 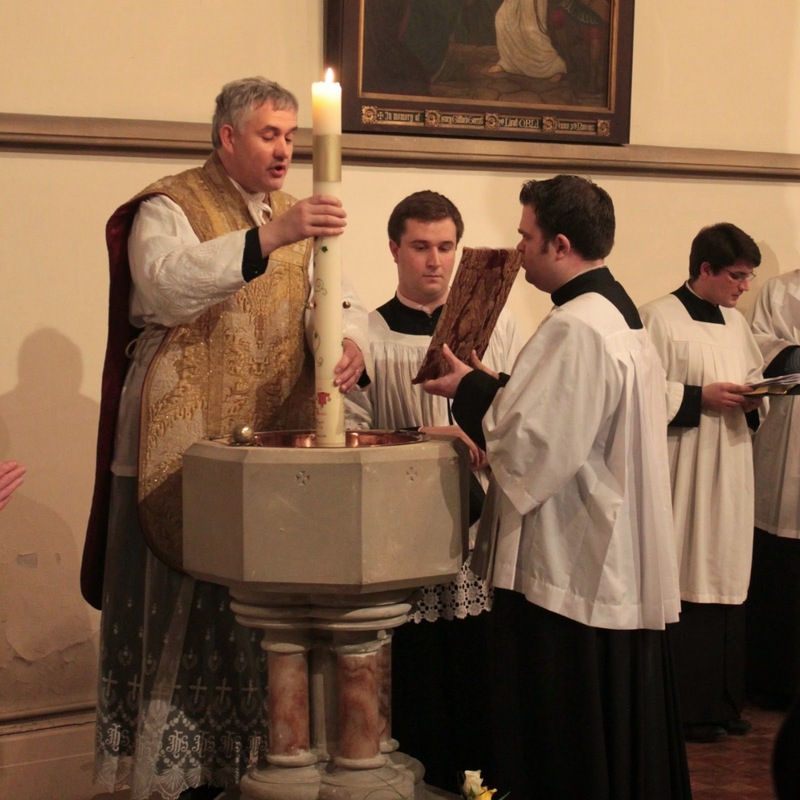 This great liturgy, the most important and solemn occasion of all the Christian year, is a parable of the Christian life; in fact it is a rehearsal of the Christian life in a relatively short space of time: begging with the light of faith being kindles in us, moving on to the search for God in the words of Scripture, to the central event of our faith journey – our Baptism; and culminating in the celebration of the Eucharist where we encounter the risen Lord and we are given both a foretaste and a pledge of the life to come. 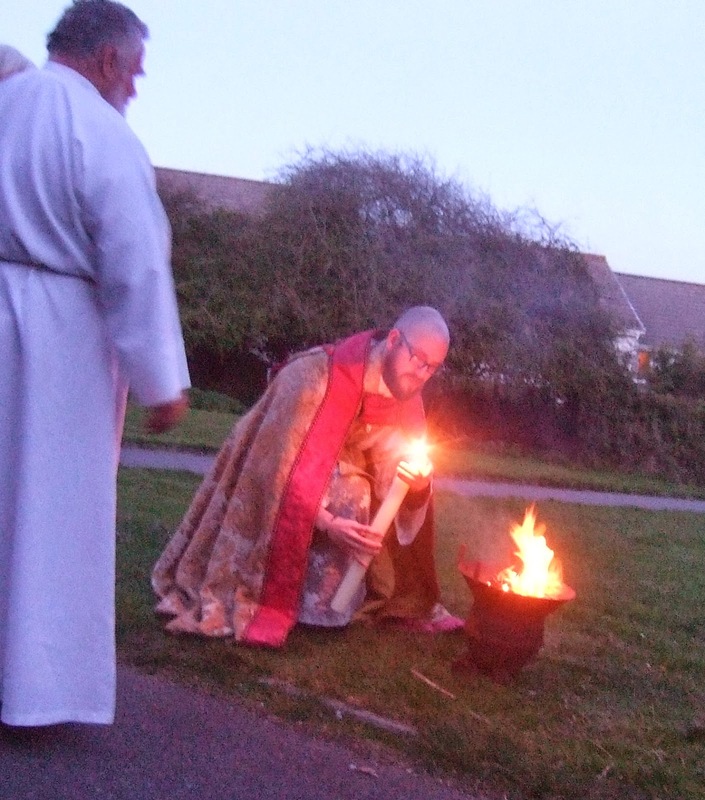 The Vigil begins outside the church in the darkness of night with the blessing of the new fire – the lighting of the Spring fire was a pre-Christian tradition but it has been claimed for Christ by the Church. In the obscurity and numbness of the world the fire of faith is lit bringing light and warmth to all. 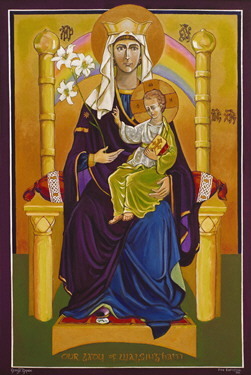 This light of faith was brought by the Word of God through the prophets, through the first covenants of God with his creation; yet – as we have discussed in our Lent group on Hebrews – something even better, something even more radiant, was planned by God with his full revelation in and through Jesus Christ – his Word made flesh. So we see that the ancient light of faith is brought into the world by Jesus – who will be represented in the Paschal Candle. The candle will share the same flame with the fire, on it the five wounds of the Cross will be visible like the ones of the Risen Lord, and the purity of Christ sinless nature will be represented by its pure wax. This light of faith, the light of Christ, is the light we will in turn share with one-another and with the Church by lighting our hand candles from the Paschal candle. It reminds us that if we are in Christ we share the light of life with him and we are called to use it to light the darkness that surrounds us for our salvation and the salvation of others. On entering the church, the building will remain in partial darkness. There we will have the Easter proclamation, or Exultet, and the readings from the Old Testament which will speak to us about renewal and pointing us to the resurrection of Our Lord. At the moment when we will begin to read the New Testament the Gloria will be sung, the electric lights will be switched on, and a joyful noise will announce that the Redeemer lives forevermore. The Alleluia – the word of praise not spoken for forty days – will resound again just before the gospel. After the readings, we will gather around the font to renew formally our commitment to living the Christian life. The water will be blessed in a particular way, unique to this night, by immersing the Paschal candle in the font – this is Christ who immersed in the waters of death is raised to eternal life bringing all the faithful with him. Throughout the world thousands and thousands of Christians will be reaffirming their faith and commitment to Christ along with countless others who will be baptised. Sharers in the life of Christ, we will be united with all these brothers and sisters in saying our “Yes” to God once again, calling to mind the time when we first passed from death of sin to life in his body, the Church. Finally, the service will continue with the normal celebration of the Mass, the first Mass of Easter, which unites us with the worship of heaven in giving glory and praise to the Lamb who was slain but now lives forever. 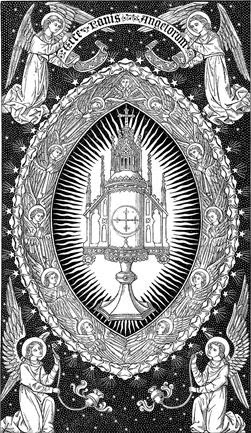 There we will encounter Jesus, not just in a representation of himself like in the Paschal candle, but risen and glorified in the Sacrament; there we will reach the summit, the climax, and the source of the Christian life.